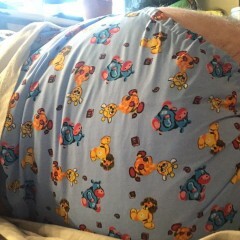 Straight 37y old male lives in Wiltshire like to meet up with a mummy or daddy or someone how just won't some nappy fun and I can drive so I can come too you like to have my bare bum spanked when I am a bad boy and I like to wet and mess my nappy like the big baby I am but I can't a comendate? So you are straight but want a daddy? Babymichael is now friends with Diaperloverbby39. Babymichael is now friends with Nappysmurf. Babymichael is now friends with nappyguy18. Babymichael is now friends with Babyadam27a. Babymichael is now friends with kentlad. Babymichael is now friends with nickjc. Babymichael is now friends with Timmyboy17.